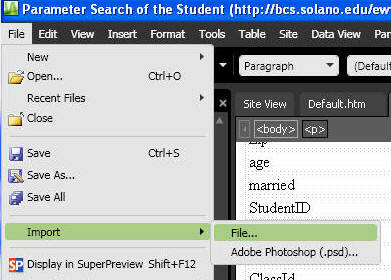 Parameter Search of the Student Database. 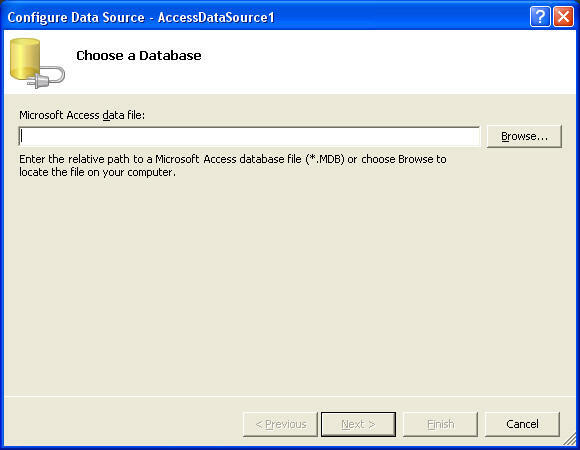 The first thing to be done is to create the access database student: Expression web is designed to work with Access2003. 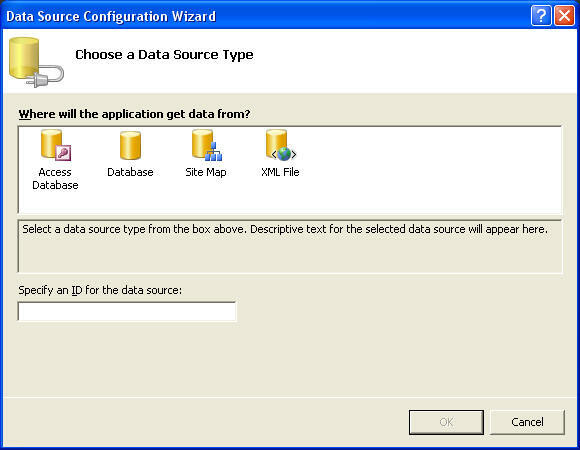 If you are working with Access2007 or 2010 both will allow you to save the data base as 2003. 1. In your web site if you do not have a FPDB folder you will have to create one by right clicking on the root of the site, selecting new, selecting folder, and then typing FPDB for the folder name. 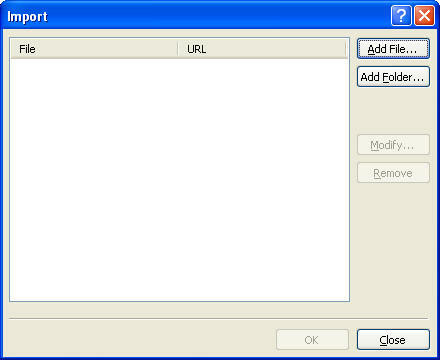 Once you have created the folder click on the folder to make it active. 4. Navigate to the folder containing the student database and click on it, then click open, then click ok. 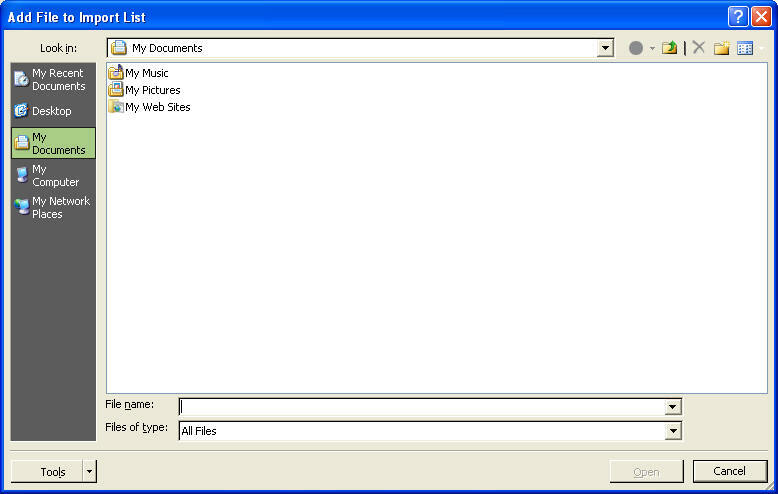 The student database will be imported into the FPDB folder. 1. First make two separate pages. a. 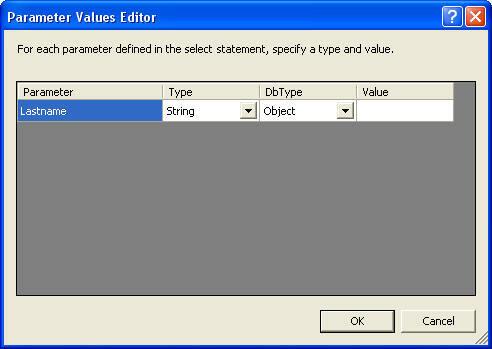 Drag the asp.net textbox control to the form. b. 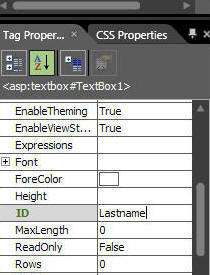 Give the textbox control the name of Lastname by going to the Tag Properties and changing the value of ID to Lastname. 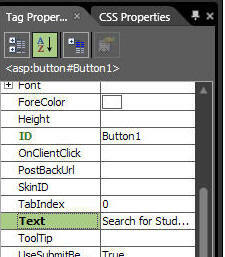 c. Drag from the asp.net controls/standard/Buttons a button and place it next to the textbox. 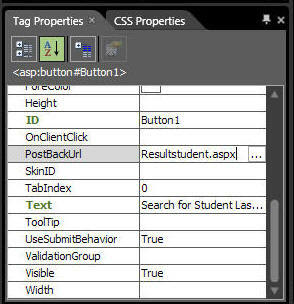 d. Click on the button, go to the tag properties and change the text attribute of the button to "Search for student by last name"
e. Under behavior, set the value of PostBackURL to resultsstudent.aspx. a. Drag the asp.net gridView onto the page. e. browse to the database student located in the FPDB folder. 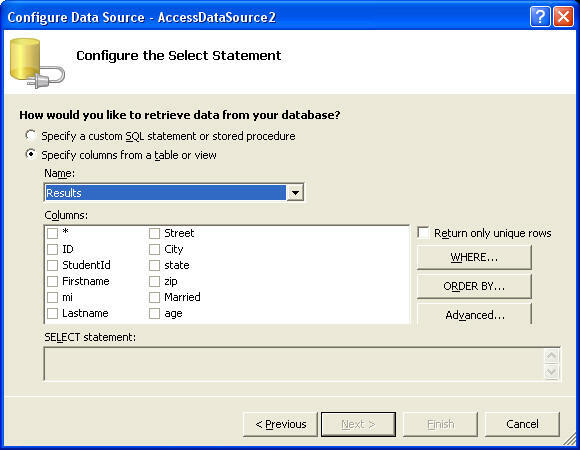 f. Select the results table from the name box and then select all the fields by clicking the column with the asterisk. c. Click the where button. k. click OK, click Finish. l. Save page and close. 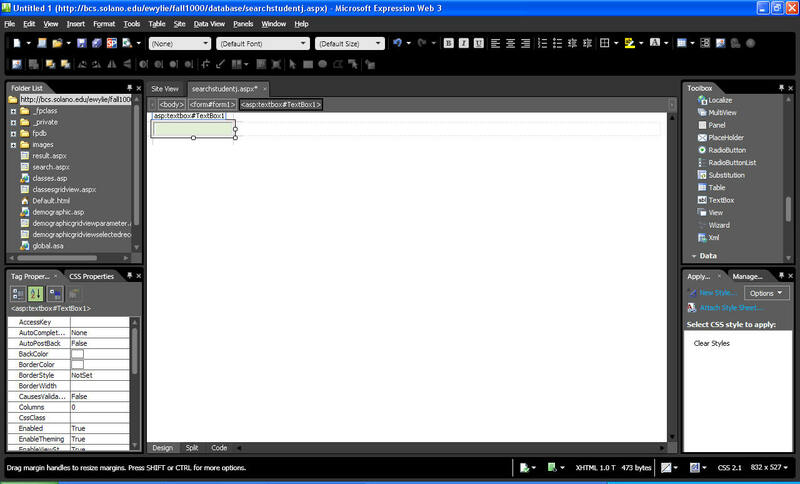 m. Open searchstudent in browser and test.